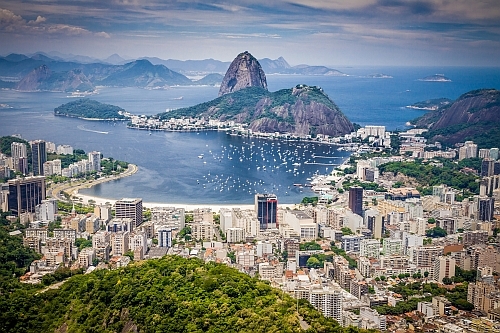 United Airlines is showing flights from Vancouver to Rio de Janeiro, Brazil for $837 CAD roundtrip including taxes. The flights have 1 stop each way, in Houston, for 2.5 to 4 hours. 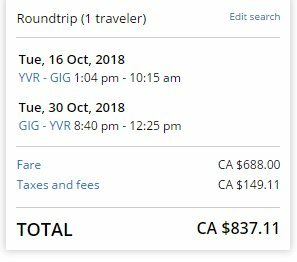 These flights were available earlier this year for $760 roundtrip, but $837 is still quite a bit cheaper than flights to Brazil have been in the past year or so. - Look for the dates that are $838 roundtrip.